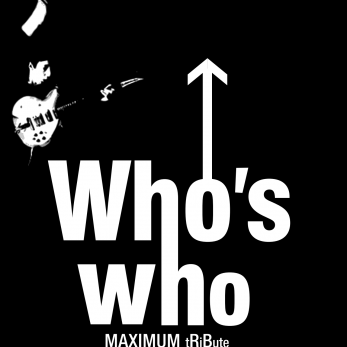 From The Railway Hotel, Harrow, West London, 1996; to The Hammersmith Apollo, in 2016 and onwards; Who’s Who, the longest established Who Band in the UK, have received incredible reactions across Europe and beyond for their exciting live performances. Pete Townshend’s leaping and Roger Daltrey’s microphone whirling antics have all but transformed the standard of tribute shows and set a benchmark within the genre for others to follow. Widely recognised and respected by their musical peers and acknowledged by members of The Who and those close to the band, as the group that most interprets the songs of Pete Townshend and the legendary live performances of The Who with honesty and integrity. Giving nothing less than 100% during a performance, Who’s Who ensure that a night to remember is guaranteed for those people who are lucky enough to be able to attend. A must see show for any Who and Rock fans alike.